Advair Diskus is a recent drug, which arises from the combination of a steroid (Fluticasone) and a bronchodilator (Salmeterol). Its most important use is related to lung diseases, especially asthma and chronic obstructive pulmonary disease (COPD), where chronic bronchitis and emphysema stand out. Because of this combination, it is not considered a short-action treatment but a drug for long-term exacerbations control. It is designed to prevent the onset of respiratory crises in people with the diseases aforementioned. It can be used in both children (over 4 years old) and adults without any problem, although some presentations are for children over 12 years old. This drug has been approved by most large organizations, so it is quite safe, although, like any drug, it has some adverse effects and contraindications. If your breathing problems worsen despite using Advair Diskus, consult your doctor promptly. As mentioned earlier, this medication contains both fluticasone and salmeterol. Both mechanisms of these drugs are different since they belong to different drug families. However, their effects combine and potentiate each other. Fluticasone Propionate is a synthetic corticosteroid, so it has mainly anti-inflammatory activity, although it also acts by other routes. It is more effective than other corticosteroids prescribed in asthma or COPD, such as betamethasone and dexamethasone; experts say that it could be up to 18 times more effective. Studies show that it is up to 3 times more effective than budesonide. Very important data and of great relevance when it comes to clinical significance, given that it shows a much greater potential. Inflammation is a basic component in triggering asthma and COPD. Corticosteroids act very well on this pathophysiological basis, as their effect occurs on almost all cell types, by decreasing inflammatory reactions and, especially, white blood cells and mediators such as leukotrienes and histamine. In the case of COPD, corticosteroids are not widely used to treat the condition as such. However, Advair Diskus is an exception to the rule and can be used in this pathology. This is a Beta-Agonist, one of the classes of drugs most used in the respiratory and cardiovascular part. Salmeterol belongs to the LABA (Long Action Beta-Agonist) family, one of the fundamental treatment lines in Asthma. According to many available studies, salmeterol appears to be up to 50 times more effective for beta-receptors than other drugs in its family. Although Beta-Agonists’ effect on B2 receptors is often related to the adrenergic system, such as vascular contraction that gives way to hypertension, their action is quite different in the bronchial tree. Bronchi have smooth muscle which reacts to beta-agonists from bronchodilation. It is possible that, due to the presence of B1 receptors in the heart, its rate may be accelerated with the use of medication; this is a frequent sign, important in people with cardiac pathologies. The direct bronchodilator effect of Beta 2 drugs, such as salmeterol, is due to the action of cyclic AMP, a secondary receptor found inside cells. This allows the bronchi to widen and the amount of air passing through the airways is much greater. In the case of asthma, what happens is that the airways become very narrow, making it difficult for air to reach the alveoli (where breathing actually occurs), which gives rise to the "whistles" characteristic of asthma. On the other hand, when the bronchi are relaxed, the flow is much greater and it is possible to avoid respiratory crises. In addition, other important studies have shown that Salmeterol has a secondary effect on mast cells, the cells that mediate allergic reactions and part of inflammatory reactions. In this way, the release of histamine, leukotrienes and prostaglandin D2 is inhibited, attenuating allergic responses and bronchial hyper-reactivity. As mentioned above, it can become a key piece in the treatment of asthma. It is used in patients over 4 years old. The most important and contributing part of asthma treatment is Salmeterol, the LABA agent. This active ingredient allows the expansion of the airways, and with it, a better airflow. Many studies confirm that, as part of Advair Diskus, salmeterol greatly decreases the risk of asthma-related death. However, some studies claim that it may increase the risk of hospitalization, but not in all patients, just in children. It is important for physicians to be especially careful about prescribing this drug in those under 18, especially when they can be better controlled with other drugs. In addition, we must remember that this is not a rescue drug but serves as a treatment in the prevention of asthmatic crises. For this reason, it is important for you to know that you should NOT use it during active crises, but after they have been resolved. If you have a crisis, it is best to go to the doctor or use the prescribed medications to treat the crisis. 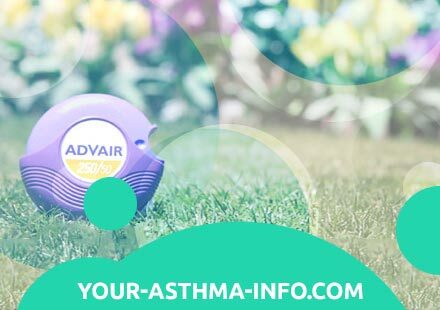 After you have controlled your asthma, you may begin treatment with Advair Diskus; however, you must remain attached to it in order to achieve effective control of this pathology. Chronic obstructive pulmonary disease (COPD) can be difficult to treat in many cases, especially emphysema. In the case of this pathology, it should ideally be used as maintenance rather than rescue treatment, in the same way as with asthma. Advair Diskus effectively reduces exacerbations in these patients, especially those who frequently suffer from these crises. The initial treatment is based on two daily doses so that it is adequately impregnated and can have the desired effect. Whether it is chronic bronchitis or emphysema, Advair Diskus has proven efficacy and many studies support it. Doctors usually prescribe an inhalation twice a day. However, they may have different indications depending on the condition. The first number corresponds to Fluticasone, and the second to Salmeterol. Remember, it can only be used as a maintenance treatment and not as a rescue treatment. One inhalation a day, twice a day. Take special care to cover the hours properly, try not to skip the intervals or separate them. However, doses may be adjusted according to patient need and clinical severity. The maximum Advair Diskus that you can dispose of daily is 500/50 twice a day. Since this is a corticosteroid therapy, you will most likely not see immediate results but will have to wait at least a week to see the effects. Let us remember that being maintenance, we do not look for a quick resolution of your problems but we do not want them to reappear again. Even so, we all react differently to medications, so it is likely that this time will vary in you. If there are no tangible results in two weeks, it is best to change therapy. The components of Advair Diskus are probably not ideal for you. In patients between 4 and 12 years old, they should require the same style of treatment, but with lower dose presentations. Use Advair Diskus 100/50 twice a day. The basis of the treatment in terms of dosage is the same, the problem is that it must be used effectively, analyzing the patient well, in order to determine whether he is under crisis or not. There are some cases where patients have slight decreases in oxygen saturation, so it does not manifest as a major crisis, but remains one. In this case, it is best not to use this medication but to switch to some short-acting ones, such as salbutamol. After the patient comes out of the crisisinsid if possible use Advair Diskus. In the same way, the effects will be better appreciated in the first week, and if they do not exist in two weeks, you will have to change the medicine to a more efficient one. We will go step by step explaining the proper use of this medicine. Most people do not know how to use inhalers properly. You must hold the inhaler with your dominant hand in a horizontal position. You must place your thumb over the special recess and move the cover outwards. When you do this, the inside of the inhaler should rotate and make a sound when it is fixed. Near that cutout where your thumb should be placed, is a very important number. This will tell you how many doses you have left, so be aware of it. When you have a few left, it will turn red "0-5". When you expose the nozzle, there is a small lever right in front of it. Hold the inhaler horizontally and slide the lever until you hear a small click. What the inhaler does is prepare a new dose inside the inhaler, so that you can release it when you put it in your mouth. Inside it, there are many small packages filled with the medication. When you push the lever, it breaks one of the packs and the medicine is exposed. Now, before you finally put the inhaler in your mouth, you should exhale as much as you can and try to empty your lungs as much as you can so that the medicine reaches the whole lung better when you inhale. Try to keep the inhaler far away at this time, so that you do not contaminate it and do not miss the dose by blowing. Place the inhaler in your mouth and take a deep breath. Some recommend that you take an inhalation as deep as you can in a second, so that the medicine does not lodge in the airways, but quickly reaches the depths of your lungs. Remember, you must inhale through your mouth and always keep the inhaler horizontal. Hold your breath for 15 seconds to make sure the medicine is absorbed properly. If you can hold your breath longer, so much the better. After that, you can breathe quietly again. Since breathing is through the mouth, when you finish inhaling you must eliminate the medicine that is around your mouth. To do this, make several gargles with water, without swallowing it, and spit it out. Since the drug is an immunosuppressant (it reduces inflammatory reactions and defenses), you may become prone to oral infections if Advair Diskus remains in your mouth. So be sure to get rid of it. Fungal infections are mostly opportunistic. This means that they expect the guest to have low defenses and not be able to attack while they are colonizing. When the corticosteroids that are part of the Advair Diskus remain in the mouth for a long time, they can cause this type of immunosuppression, which will later facilitate the colonization of secondary fungal infections, such as Candida albicans. If so, you will notice some abnormal lesions in your mouth. See your doctor promptly and stop using the medication. The lesions should be treated appropriately and the type of drug you are using should be changed. It occurs mainly in COPD patients and follows the same pathophysiological mechanism mentioned above, but mainly of bacterial origin. Similarly, in COPD (especially in chronic bronchitis) large accumulations of mucus can be a great settlement for the colonization of certain bacteria. Therefore, they are prone to suffer from pneumonia constantly. Corticosteroids only facilitate this state by lowering the defenses, so the frequency of pneumonia can be quite high. Asthma is one of the most important and “known” diseases in the world. We put it in quotation marks because, although we hear about this pathology from a very young age, we do not always know what it really is. 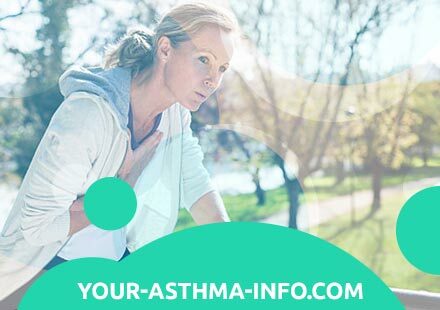 Asthma is a chronic disorder, present in both children and adults, which is characterized by alterations in the bronchi’s size, tubular structures in charge of carrying air to the lungs. This is due to alterations that increase the reactivity of these structures. Under normal conditions, when foreign substances or particles enter our airway, our body tries to remove them or prevent them from entering. To do this, it closes the bronchi a little and produces coughing spells. However, the alterations that exist in asthma cause this response to be much faster and stronger, so that the bronchi are closed enough and complicates that we can breathe. Although there are several symptoms, one of the most important features is a kind of wheezing that occurs when we try to breathe. This is due to the reduction in the airspace, causing the little air that reaches the lungs to resonate. In addition to this and the difficulty in breathing, there are other important symptoms such as coughing, oppression in the chest and changes in the color of the skin and eyes due to lack of oxygen. As these symptoms worsen. They usually occur in two periods, exacerbations or crises, divided by asymptomatic periods. However, all of these symptoms can vary greatly depending on the age of the patient. In children, for example, coughing is much more prevalent, especially during the night when hormone levels increase, favoring the bronchi‘s narrowing. In adults, on the other hand, shortness of breath, fatigue, and wheezing are the most common. As mentioned at the beginning, this is one of the most common diseases worldwide. Asthma affects at least 5% of the population, which is about 300 million people. These data only include those people are in “active” periods or phases of asthma, so the number can be much higher. However, with children, the prevalence increases considerably. In fact, there is a subtype called childhood asthma, where children are affected, and usually disappear in adulthood. Experts say that about 10% of children suffer from this disease. This is a disorder that needs quick and urgent treatment when it appears, so most people tend to pay quite a lot of money when asthma attacks occur, seeking medical attention quickly. This means that the poorest, a large part of the world, cannot access it quickly and asthma has a higher mortality rate. In fact, official figures estimate about 250,000 deaths annually from this disease, due to the inability to adequately treat and control asthma. The adults who suffer from asthma are usually those children who suffered from childhood asthma, but in whom the disease did not subside. Other cases include adults who developed the disease later in life. All this is related to the adaptation we have of children to different allergens, substances capable of triggering an allergic response in our body, and with it, asthma. Some studies refer that it is possible to decrease these rates of allergic reaction, not only for asthma but also for other diseases whose mechanism of appearance is similar. However, what are the factors that predispose us or trigger asthma attacks? It was difficult not to relate this disease to genetics when the majority of those suffering from this disorder have at least one relative with asthma. Since this link was known, many studies have been carried out that corroborate the genetic aspect’s importance in this bronchial hyperreactivity‘s origin. Pollen: one of the most important allergens, most frequently present in spring. The ability to trigger this allergen’s reaction depends on the climate and the type of plants, however, most of the time you have a strong allergic response that ends up narrowing the bronchi. Pollen particles remain suspended in the air for a long time, making it feasible to breathe them at any time. Dust mites are small parasites that live in our home, which usually feed on skin waste. Although they need special conditions to develop - determined by temperature and humidity - they are often part of the origin of asthma. One of the most important asthma treatment measures is food. Many foods have great potential to trigger these attacks, so doctors often omit certain types of food from their diet after an asthma attack. Despite this, after we enter adulthood it is difficult to observe that food triggers these reactions. Treatment - Is there a cure? Unfortunately, a total and definitive cure for bronchial hyperreactivity does not exist. However, many measures can be applied both to reduce the likelihood of crises or exacerbations and to decrease symptoms. These can be grouped into pharmacological and non-pharmacological. In this case, we do not use drugs; however, what we try to do is to limit the causes that trigger this disease as well as its effect on our system. Limit the number of times you go outside, try to keep it to the essentials. This decreases the possibility of contact with some particles such as pollen. Decrease the humidity in the environment, as well as folders, carpets, and anything that can accumulate dust. Keep your space clean, try to get a place where sunlight comes in to decrease the likelihood of fungus growth. Ventilate your home enough. Try not to be in the rain or bring in dirt that can accumulate and give rise to other things. Anti-inflammatory: the most commonly used are corticoids, which reduce inflammation of the bronchi. Bronchodilators: beta-2 agonists, anticholinergics, and methylxanthines are used, and their function is to increase the diameter of the bronchus. Immunotherapy: used only in patients sensitive to an allergen. Specialized personnel administer it in the hospital. Antihistamines: do not control asthma but are useful to reduce allergic symptoms such as an itchy nose, sneezing, redness of the eyes. Every year, approximately 112, 000 people find out they have Chronic Obstructive Pulmonary Disease (COPD). Between the years 2000 and 2016, according to the World Health Organisation (WHO), COPD overtook lower respiratory tract infections to become the third leading cause of death in the world. This happened fourteen years earlier than was previously estimated. So we have to ask. Chronic Obstructive Pulmonary Disease (COPD) is a group of diseases that obstruct airway passage in the lungs leading to breathlessness, chronic cough, and sputum production. COPD comprises two diseases – chronic bronchitis and emphysema. Chronic bronchitis means narrowing of the airways due to inflammation. And in emphysema, the lung’s ability to transfer oxygen to the blood is limited because the air sacs (alveoli) have broken down, thus leading to air being trapped in the lungs. Every cell in our body requires oxygen for survival, and our lungs are the organs that help us get oxygen to our blood. To get to our lungs, air travels through the upper airways (the nose, pharynx, and larynx) and gets to the lower airways (also called the respiratory tree). It is this respiratory tree (from the trachea at the beginning to the air sacs at the end of it) that facilitates the passage of air through the lungs. So, as you can imagine, if the airways become inflamed or blocked by mucus secretion, it will impede our ability to get air in and out of our lungs. So what can cause this inflammation/obstruction of the airways? COPD is not contagious. It occurs when long-term exposure to harmful gases results in irreversible damage to the lungs. Long-term exposure to tobacco smoke – whether you’re smoking or just close to someone who is smoking tobacco (secondhand or passive smoke) – is the commonest risk factor of COPD in high- and middle-income countries (such as U.S.A, UK, Canada, Germany etc.). In low-income countries, long-term exposure to indoor air pollution is the main risk factor. Indoor air pollution results from the burning of biomass fuels (such as wood) and coal to cook food or heat up the home. Other risk factors include outdoor air pollution (examples include exhaust fumes in traffic, industrial pollution), occupational dust and chemicals, and recurrent lower respiratory infections during childhood. We’ve learnt that the main risk factor for COPD is long-term tobacco smoking. In fact, 90% of COPD cases are caused by smoking. This doesn’t, however, mean that EVERY heavy smoker will develop COPD. Research shows that only 1-2 in 10 of heavy smokers end up developing COPD. Most COPD deaths (more than 90%) are in low and middle-income countries. The disease affects men and women “almost equally”. There is also evidence to suggest that indoor air pollution affects the unborn child and can lead to their developing COPD in future. COPD develops slowly, so most diagnoses are made after 40 years of age. However, in certain instances such as alpha-1-antitrypsin deficiency (a rare genetic disorder) COPD may manifest at a young age. Airflow limitation is central to the development of COPD. So how do we recognize COPD? Shortness of breath and wheezing: It initially starts out with shortness of breath after exercise. But then, eventually if left untreated over the years, it will worsen to shortness of breath when the patient does something as mild as getting dressed. Frequent cough that lasts for longer than three weeks to three months of each two years. Sputum production: The cough may or may not be productive of clear or white sputum. These symptoms might appear or worsen when the patient is exposed to cold weather, smoke, or fumes. In severe cases of COPD, the patient might notice other symptoms such as weight loss, general weakness, ankle swelling, and depression. Now, you might be saying, “Hold on a minute. COPD sounds a whole lot like asthma.” Yes, they have similar symptoms (breathless and wheezing). The major difference is, in COPD, the airways are permanently narrowed, meanwhile inhaled bronchodilators can fully open up the narrowed airways in asthma. The narrowing of the airways in COPD is IRREVERSIBLE so it is imperative to visit the doctor as early as possible if you notice the symptoms listed above. Book an appointment with your physician and be sure to keep it. At the doctor’s office, the patient complains of his symptoms, being sure to let the doctor know if he smokes or is exposed to irritants at work or at home. After the doctor takes a history and physically examines the patient, he will then order a simple and painless lung function test called spirometry. The patient blows hard into the machine in the picture above, and it measures the patient’s lung capacity and how quickly the lungs empty of air (FEV1). This test will help the doctor know if there is airflow limitation and determine the severity of said airflow limitation. Typically, once a patient is a chronic smoker and has episodes of breathlessness and cough productive of sputum for at least 3 months of each two years, the diagnosis of COPD is likely. Other tests the doctor might order include – arterial blood gas test, a chest X-ray, CT scan, alpha-1-antitrypsin levels, genotype, sputum examination, and an electrocardiogram. Why does he do this? The stage of the disease is what will inform how he manages the COPD. The health professionals that might be involved in your care include the pulmonologist (lung specialist), occupational therapists, dieticians, and physiotherapists. Drug therapy The doctor would prescribe bronchodilators and/or corticosteroids depending on the stage of the COPD. Influenza and pneumococcal vaccination: A once-in-a-lifetime pneumococcal vaccine shot and yearly influenza (flu) vaccine shot is very useful in protecting people from respiratory infections. Pulmonary rehabilitation/palliative care: Research suggests that COPD patients benefit from exercise. So, pulmonary rehabilitation is very beneficial physical exercise training and education that was specifically designed for COPD patients. Severe COPD results in disability that can negatively impact a patient’s mental health and how they view themselves. So, the doctor might refer the patient to a psychiatrist to manage possible depression. Lung volume reduction surgery: some patients might benefit from this as it removes the most diseased areas of the lungs, allowing the remaining healthier parts to function better. Lung transplant: in very severe cases of COPD that have not improved with treatment. As you can imagine, COPD patients don’t cope well with respiratory infections. So respiratory infections tend to cause (acute exacerbations) of COPD. A prompt visit to the doctor where he prescribes antibiotics and routine vaccinations against influenza and pneumococci. What is the likely course of COPD? Well, if left untreated, it will eventually result in death. Increasing age and worsening airflow limitation predict poor prognosis. So now that we understand Chronic Obstructive Pulmonary Disease – what it is, what causes it, how it is treated – we can all agree that prevention is better than cure. So how do we prevent COPD? Can we? The good news is, even though there is currently no cure for COPD, it is a preventable disease. So what can we do to severely limit our risk of getting COPD? Well, this is tied to the risk factors we discussed earlier. Discuss with your supervisor at work for better protection. So let’s go through it one last time. COPD is an irreversible, slowly progressing lung disease that arises when the airway is obstructed. It comprises diseases such as chronic bronchitis and emphysema which lead to symptoms like breathless and wheezing, coughing, and sputum production. 90% of cases of COPD are caused by long-term tobacco smoking. Hence, the most cost-effective means of managing COPD or preventing it is avoidance or cessation of tobacco smoking.